George is haunted by the demons of his family's past and tortured by the voices inside his head. He makes one last attempt at recovery by contacting his dead mother's doctor. 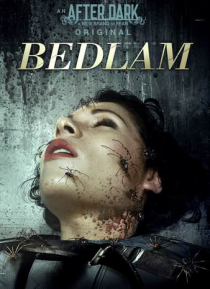 The doctor's orders; that he attend Bedlam hospital for a guaranteed recovery. As George checks in, he's confronted by a world of society's unwanted, unloved and unstable. Soon, he will discover that all is not as it seems. T… he hospital hides a dark secret. Welcome to Bedlam... treatment begins.